Hundreds of millions of people fall ill due to mosquito-borne pathogens every year but the recent rise in birth defects associated with Zika virus emerging in the Americas has health authorities on alert. Zika virus is transmitted by mosquitoes, primarily by the Yellow Fever mosquito, Aedes aegypti. Since its discovery in Africa around 70 years ago it has avoided the public health spotlight due to the relatively mild illness it causes. Throughout Africa and Asia it is overshadowed in importance by the diseases caused by malaria parasites as well as dengue and chikungunya viruses. For background on the rise of Zika virus, see my article for The Conversation. While Zika virus has yet to be fully confirmed as the causative agent in birth defects (such as microcephaly), there is clearly enough concern among health authorities in many parts of the world to issue warnings to those pregnant to avoid travel to countries experiencing an outbreak of Zika virus. Authorities in Columbia and El Salvador have even gone so far as to advise residents to avoid falling pregnant for up to two years. For many, the option of not travelling will be easy. But what if you still want to travel? What if you’re doing business in some of these countries? What if you need to travel to visit family? Cancelling a trip isn’t always the easiest options. Irrespective of the current Zika outbreak, travelling while pregnant brings various health and safety risks. Other mosquito-borne diseases, such as malaria and dengue, also pose a risk to pregnant women and their unborn children. These serious risks existed long before Zika virus grabbed the public health spotlight. Unfortunately, there is no vaccine currently available for Zika virus. Vaccines are in development for dengue viruses and anti-malaria drugs are available so consult your local travel health clinic. While travelling, staying indoors as much as possible, particularly air-conditioned accommodation, will greatly reduce exposure to mosquitoes. This may not be how you expected to spend your time during a South American holiday! Many people associate mosquito-borne disease with wetland or jungle environments but as Zika virus is spread by mosquitoes found in urban habitats (e.g. water-filled containers), travellers should not be complacent if only visiting cities. Some of the biggest recent outbreaks of mosquito-borne disease have been in major metropolitan regions in the Americas and Asia. If you’re staying at a high end resort, chances are there will be a well established insect control program. This typically includes widespread spraying for insecticides to knock down any mosquito populations. This may not completely remove risk but it will substantially lower potential exposure to mosquitoes. Again, don’t be complacent and take special care to avoid mosquitoes if taking a day trip to local villages or other tourist attractions. Sleeping under a bed net is usually recommended in regions where malaria is an annual problem but this may not offer that much protection against Zika virus as the mosquitoes that spread the virus primarily bite during the day. If you’re planning on taking some afternoon naps, make sure it is under a bed net. A range of insecticide treated bed nets are available from your local camping store. There is also an ever increasing range of “pre-treated” insect repellent clothing but evidence is scarce on just how effective these are at preventing bites. Treating clothing with insecticide (e.g permethrin) yourself would be a better option but don’t expect that wearing treated clothing means you don’t have to put insect repellents on exposed skin. There will be anxiety among many about using insect repellents while pregnant. Are they safe? Will they impact the baby? Without doubt, the most commonly used, safe and effective mosquito repellents is DEET (I’ve written about these repellents extensively, see here and here but I’ll summarize below). This is found in lots of major commercial brands and is a mainstay in the recommendations issued by health authorities the world over. Problem is, it can be hard to find information on how to choose and use the repellent that’s right for you and your situation. The first point to remember is that the the strength of the formulation determines how long you’re protected against mosquito bite, not how many mosquitoes are kept away. For example, a 10% DEET based repellent may provide 2h protection, a 20% formulation may provide 4h protection. When choosing a repellent, think about how long you need protection for and how frequently you’re happy to reapply. Secondly, the repellent must be applied as an even coverage on all exposed skin. If there are “gaps” in the application, mosquitoes are sneaky enough to pick a spot to bite. In the case of the mosquitoes that spread Zika, dengue and chikungunya viruses, pay special attention to application around the lower legs and feet, that’s where they like to bite. Be sure to reapply repellent after swimming or sweaty exercise too. There is no need to apply mosquito repellents to skin under clothing. Are repellents safe to use when pregnant? Health authorities and regulatory agencies rarely provide specific warnings on the use of insect repellents by those pregnant. While there haven’t been many clinical trials, these papers (here and here) demonstrate a lack of documented significant health risk associated with the used of DEET-based repellents. Most notably, a study of almost 900 women using mosquito repellent in the second or third trimester and no adverse neurologic, gastrointestinal, or dermatologic effects were observed in women or their infants for a year after birth. It is important to balance the distinct lack of evidence of major health risks associated with repellents to the rapid rise in microcephaly in Brazil. Repellents can stop mosquitoes bites, stop mosquito bites and remove the risk of infection. If you use registered mosquito repellents as directed on the label, they are effective and safe. Common sense must prevail. Even if you’re concerned about the use of repellents, make some compromises while still protecting yourself for infection. Choose a lower dose DEET-based repellent and reply more often. This is a better approach than trying a repellent that hasn’t been proven effective. I’m often asked what formulation works best. There are aerosol sprays, roll-ons, pump-pack sprays, creams, gels, lotions and even towelettes. There really haven’t been many scientific studies looking at which if these formulations work best, and for good reason. As the active ingredients in these formulations are the same, it doesn’t really matter. The critical issue is to choose a formulation that you’re most comfortable using to ensure you get a good coverage over exposed skin. I like creams and pump-pack sprays but I generally apply the product to my hands first and them spread across skin. Always ensure you avoid getting repellent in your eyes or any cuts or abrasions. I don’t like the smell or feel of mosquito repellents! There is often a temptation for those who dislike DEET to use a “natural“, plant-based repellents. Notwithstanding that these products provide shorter periods of protection, tea-tree oil (particularly when used in home-made concoctions) also has the potential to cause skin irritation. While plant-based mosquito repellents may offer some protection against nuisance-biting mosquitoes, they shouldn’t be relied on to prevent mosquito bites in regions of mosquito-bore disease outbreaks. Many health authorities recommend para-Menthane-3,8-diol (PMD), a product commonly known as “oil of lemon eucalyptus”. This is not an essential oil but rather the by product of the distillation process of Corymbia citriodora. The product does repel a range of biting insects and there is no evidence suggesting it should not be used in pregnancy. 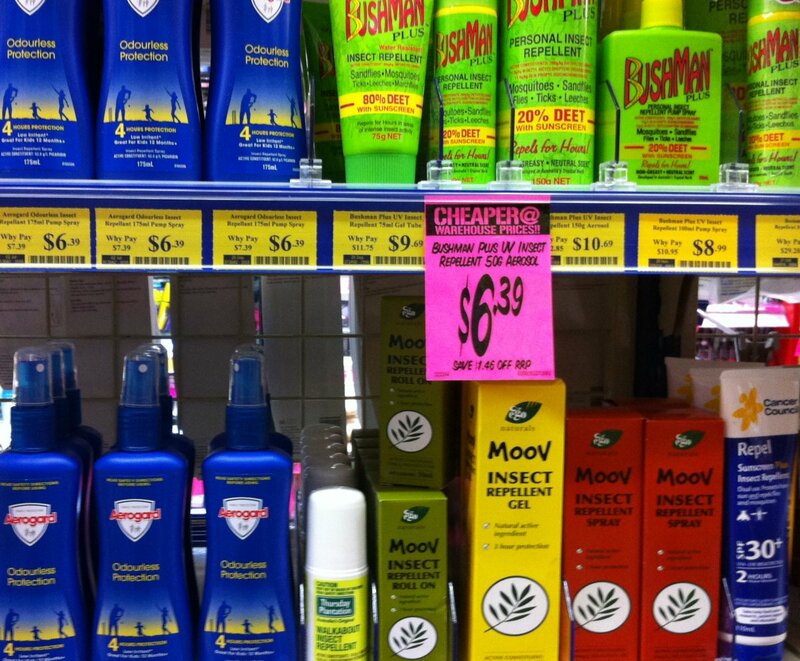 However, in Australia, this product is generally more difficult to find in grocery stores and pharmacies than DEET- or picaridin-based repellent formulations. It would be brilliant if there was a non-topical options for stopping mosquito bites. Unfortunately, there is nothing that has been proven effective. Do not rely on mosquito repellent wrist bands as they do not provide adequate protection against mosquitoes. Also, remember that there is nothing you can eat or drink that will stop you being bitten by mosquitoes. Rounding out the advice on mosquito repellents, make sure you pack some before you leave. You can never be sure of what products will be available at your destination or whether it has gone through the process of registration (e.g. APVMA in Australia or EPA-registered in the U.S.). It is not unheard of for mosquito repellent stock to sell out during outbreaks of disease. Lastly, if you’re travelling to regions experiencing dengue, chikungunya and Zika virus outbreaks, don’t necessarily expect to be swarmed by mosquitoes in the same way you will around many of Australia’s coastal wetlands. Don’t be complacent if there are only a few about, remember, it only take one bite to transmit a pathogen. Don’t wait until you notice mosquitoes biting, wake up and put on that repellent. There is a great set of questions with answers provided by the CDC for pregnant travellers on Zika risk and prevention and here is another reminder of the travel advice provided by the CDC and Australian Government for pregnant women. If planning to travel while pregnant, consult your local doctor or travel health clinic for advice. Summer is here and you’ll want to know how to spend time in the backyard without a barrage of bites from pesky mosquitoes! There is little doubt mosquitoes are a nuisance but in some parts of Australia but they can also pose a health risk. Around 5,000 people a year are infected with Ross River virus. In fact, 2015 saw the biggest outbreak of mosquito-borne Ross River virus disease ever recorded in Australia. 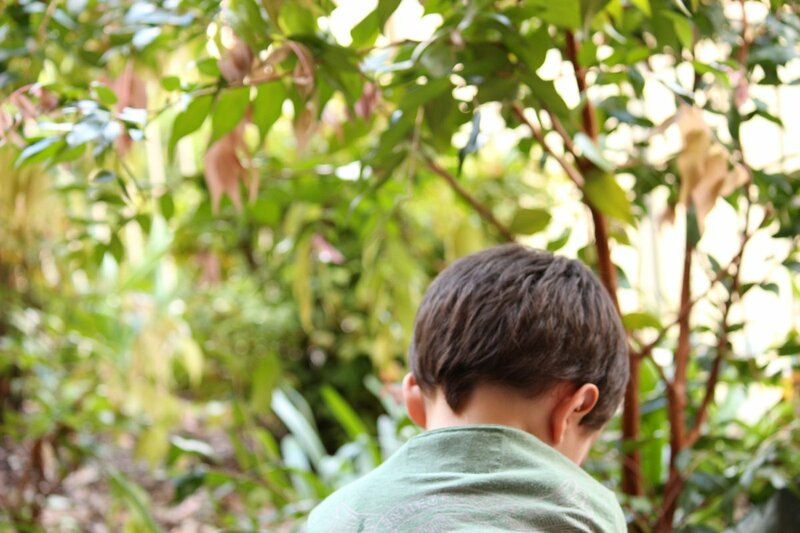 I recently shared ten tips on keeping free of mosquito bites with the University of Sydney that proved popular so now here are five top tips (with a bit more detail) to help reduce the risk of mosquito bites and get the most out of your backyard this summer! Don’t let mosquitoes find a home around your home. The immature stages of mosquitoes (commonly known as wrigglers) are found in free-standing water so drain, tip out or cover any water holding containers. 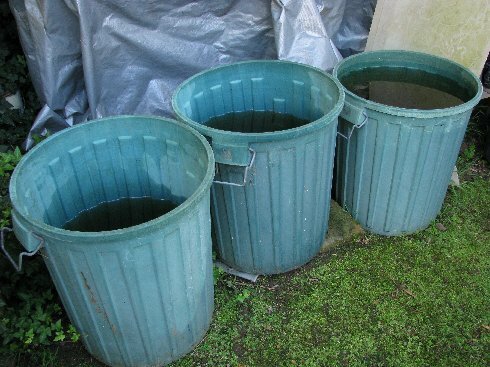 These can range from buckets and discarded tyres to children’s toys and slumped tarpaulins covering boats or trailers. Flush out your bird baths with a hose once a week (you can also scrub it with wire brush to dislodge any mosquito eggs). Mosquitoes can even find a home in your pet’s water bowl so empty before refilling at least once a week. Can you see a puddle or pool of water? There are probably mosquitoes in there, or dozens of eggs waiting to hatch. Pot plant saucers (particularly “self watering” pots) are great places for mosquitoes. If you fill saucers with sand, the moisture will be trapped but there won’t be any “free standing” water for mosquitoes to use. Good for the plants, bad for mosquitoes. Sometimes the problem comes from above. Check your roof gutters, when they get blocked with leaves and water is trapped it provides habitat for mosquitoes. Same goes for courtyard drains, make sure you clean out soil, sand and other debris that might trap pools of water. Make sure you keep your swimming pool chlorinated. Neglected swimming pools can harbour mosquitoes, especially mostly empty in-ground pools that partially fill following rainfall. It may seem like a good idea to store water around the home to help keep plants going during a long hot summer but any water, from a full rainwater tank to a few drops in the base of a pot plant saucer, can make a great home for mosquitoes! A range of products is available that will help control mosquitoes. It is important to ensure that any product used is registered with the Australian Pesticides and Veterinary Medicines Authority (APVMA). The APVMA test products for their effectiveness and safety and it is critical that the instructions on the insecticide label are followed. The insect growth regulator methoprene (NoMoz) and the monomolecular film (Aquatain) can both be used to stop mosquitoes emerging from backyard habitats. A few pellets of methoprene or a few drops of monomolecular film into water can be enough to provide a month or so of mosquito control. It was once common practice to put a teaspoon of kerosene into rainwater tanks (the kerosene floats on the surface of the water, drowning mosquito wrigglers), now monomolecular films can be used. Keep in mind though, if your rainwater tank is properly screened, you don’t need to worry about putting anything inside. For mosquitoes flying in from beyond the backyard, sometimes you need to use insecticides. Insecticide sprays generally fall into one of two categories. 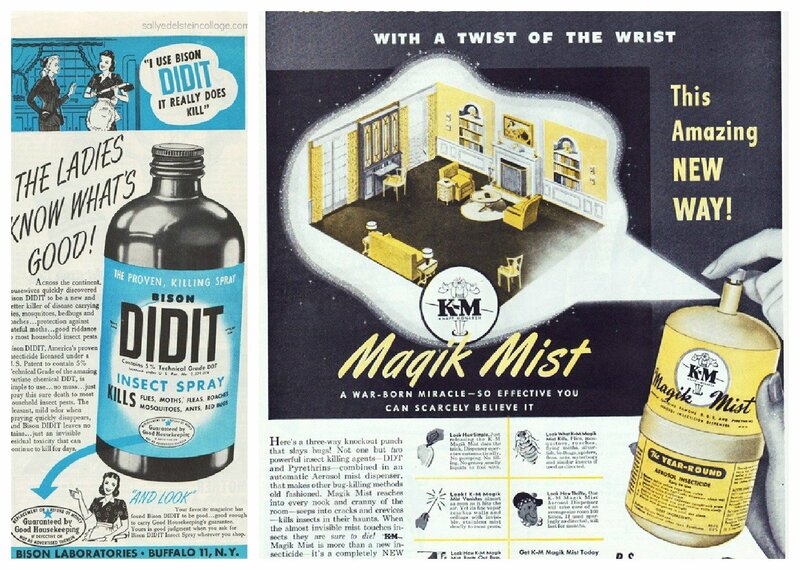 “Knockdown” sprays are designed to kill flying insects while they’re buzzing about. While they’ll certainly kill mosquitoes, mosquitoes are far less likely to be randomly flying about in the backyard. They’re usually a little more sneaky than that. A better option will be “surface sprays” that provide some residual control and kill the mozzies where they hide out. Residual insecticides (typically containing synthetic pyrethroids and often marketed as “surface sprays”) can be applied to cool and shaded areas. The most effective places will be under outdoor furniture, the shaded sides of buildings, verandas or within vegetation. While these products are safe for people and pets, they are likely to impact non-target insects too (e.g. bees, butterflies, beetles) so should be employed judiciously, especially if spraying on plants. Never spray them into or around ponds as these insecticides can be toxic to fish. Always check the label of the insecticide for directions. I once asked a local resident if this type of spraying worked in reducing mosquito numbers around the home. “Yeah, it killed everything” they replied. We really don’t want to be killing everything so please be careful when using these products. Topical mosquito repellents will remain the first line of defence for many when mosquitoes are out in force. Products that contain DEET (diethyltoluamide) or picaridin will provide the longest lasting protection but make sure they’re applied correctly. You’ll need a thin coverage of all exposed skin. A dab “here and there” won’t be enough. Plant-based products (e.g. tee tree oil) will provide some protection but will generally need to be applied more frequently than the other repellents to ensure long lasting mosquito bite protection. The smell of mosquito coils is up there with the smell of sunscreen and BBQs as a reminder of summer. Mosquito coils and sticks are good at reducing the number of mosquito bites but they’re unlikely to stop them all. A recent study found little evidence that burning mosquito coils prevents malaria so don’t expect all biting mosquitoes to stop once you light up a coil. Make sure you use coils or sticks that contain insecticide (e.g. pyrethroid) and not just botanical extracts (e.g. citronella) as the insecticides will actually kill some mosquitoes. Never sleep in an enclosed room with a mosquito coil burning. Seriously, don’t keep a mosquito coil burning overnight in your bedroom. There is a range of “smokeless” ways to beat mosquitoes too. These are either plug-in or butane powered units that heat insecticide impregnated pads, or reservoirs of liquid. Most of these types of units are designed for indoor use but they’ll work just as well in sheltered balconies or courtyards too. Like the insecticide impregnated coils and sticks, these products provide the best bite protection but without the smoke. You can also forget about the various types of mosquito traps on the market. Some may catch mosquitoes but never enough to stop bites in the backyard. Electrocuting traps and those with UV lights are generally ineffective at catching mosquitoes, you’ll catch many more non-biting flies, moths and beetle than mosquitoes. Mosquitoes are food for fish, frogs, birds and bats. Can they help keep mosquito numbers down? Fish eat mosquito wrigglers so release some (native fish preferably) into your ornamental ponds. Best not release “mosquitofish” (aka the plague minnow, Gambusia holbrooki) as these will chomp through more than just mozzies (say good bye to native fish and tadpoles!). Contact your local council who can provide some advice on what fish may be best suited to your local area. If you’ve got frogs about, tadpoles won’t munch through many wrigglers, but having frogs about is reward enough anyway! 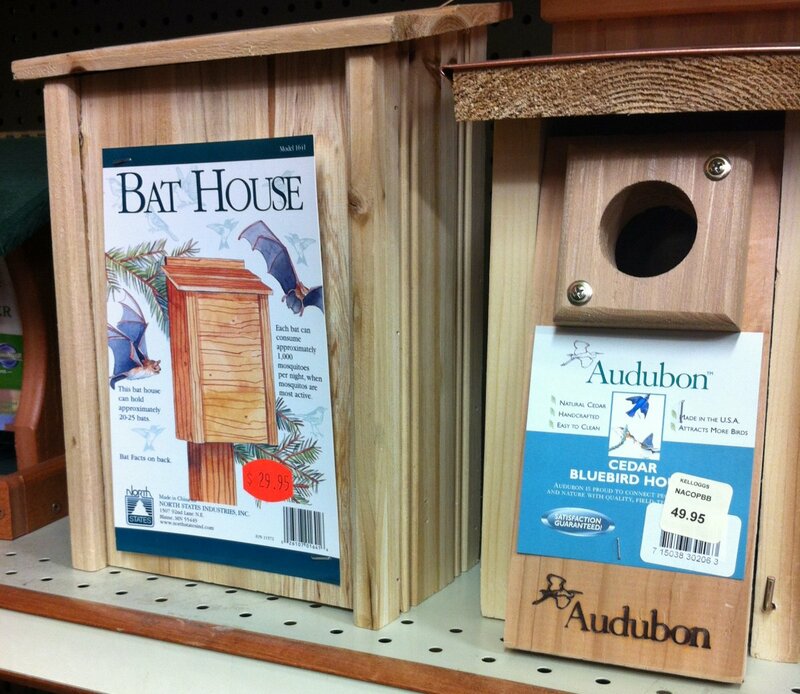 Many claim that encouraging birds or bats to move in around the house will help reduce mosquitoes. A garden of native shrubs and ground covers will provide a home for small insect-eating birds so at least some local animals will be snacking on mozzies. But don’t buy bird houses and bat boxes expecting all the bites to disappear. Although birds and bats do eat mosquitoes, they don’t eat anywhere near enough to reduce nuisance biting. Encourage these creatures because they’re nice to have around, not because they’ll provide pest control. There are some mosquitoes whose wrigglers will actually eat the wrigglers of other mosquitoes. The news gets even better because these mosquitoes (Toxorhynchites speciosus) don’t even bite (they’re also film stars)! Unfortunately, there will never be enough of them to eat enough mosquitoes to make a difference having them around (as well as other mosquito eating arthropods such as dragonflies, spiders, beetles and damselflies) can only help, even if it is just a little bit. Sounds like a dream that you could plant something in the garden that would “naturally” keep mosquitoes away. Problem is, none of the plants promoted as “mosquito repelling” provide any substantial protection. Experiments in Africa found that some potted plants repelled around 30-40% of the mosquitoes. I’m somewhat sceptical of that success. Whenever I’ve tested spatial repellents, especially those containing plant extracts that are actively released in one way or another, I rarely get that success. Whole plants? I’m not so sure. If you check out your local nursery, you may find a plant called “Mozzie Blocker” for sale. This plant is the Lemon Scented Gum (Leptospermum liversidgei). While the extracts from these types of trees (Leptospermum and Melaleuca species) have been shown to repel some mosquitoes, there is no evidence that the whole plant will reduce mosquito bites. It is worth remembering that these plants populate coastal swamp forests and I know from experience that these are some of the most intense places for biting mosquitoes you can find! In summary, the nuisance caused by local mosquitoes will often be determined by the environment around your home as much as those in it but there are still things you can do to reduce their bites. Most important of all is ensuring you’re not creating opportunities for mosquitoes to breed and hang out in your backyard! What’s your favourite way to beat the bite of backyard mosquitoes? Join the conversation in Twitter!